Teresa Sanjurjo González has been the Director of the Princess of Asturias Foundation since 2009. She has spent her entire career in the field of non-profit organizations, primarily foundations. Before joining the Princess of Asturias Foundation, she was General Manager of the Spanish Association of Foundations from 2003. Before that, she occupied the position of Technical Manager of the Spanish Confederation of Foundations from 2001, after joining the organization in 1999. Her work there focused mainly on promoting association among Spanish foundations, articulating and defending their interests via the drafting and improvement of the legal and tax framework of this sector, in addition to providing services to member foundations and increasing membership. Born in Madrid in 1972, she studied at Comillas Pontifical University (ICADE), where she graduated in Law in 1995, at the same time as obtaining qualifications as a Corporate Legal Advisor. She holds a Master’s degree in Administration and Management of Foundations and Other Non-Profit Organizations from the Autonomous University of Madrid (1999/2000) and completed the General Management Program (PDG) at the IESE Business School in 2007. 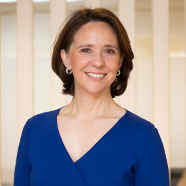 Member of The Hague Club and, president of this entity (2016-2017), she also belongs to the International Women’s Forum. During her years of work within the foundations sector in Spain, she has participated in numerous forums, conferences and seminars, in addition to contributing to specialized publications. She has also lectured on the Master’s programme in Foundation Administration and Management and Other Non-Profit Organizations and on specialized courses in this sector. Corresponding member of the Royal Asturian Academy of Jurisprudence, she is a member of the Board of Directors of the Spanish Association of Directors (AED) and a member of the Editorial Board of the Yearbook of Foundation Law. In September 2014, she was awarded the Cross of Police Merit with White Decoration by the Ministry of Interior. She is a member of the Board of Trustees of the Princess of Asturias Foundation.